Our ordinary lives are so much more than what they seem. As Manitowoc citizen Ralph Plumb sat down to write his memoirs in the 1940s, be began sharing stories of his parents, his childhood, school days, and his community experiences. While he viewed much of his life as ordinary events, these stories give us a picture of the people and places of our community more than a century ago. Plumb's memoirs, titled "Born in the Eighties" begins with his disclaimer of his seemingly ordinary life. "I am under no impression that the world or any part of it would be at all interested in the life story of an ordinary man who has never had other than ordinary experiences," he wrote. At the time of his writing, Plumb was very active in local business. He was chairman of the board of Plumb and Nelson Wholesale Grocery Co. and had produced 11 books and many papers about Wisconsin and local history. His work “History of Manitowoc County” was published in 1904 and still remains an important resource of our early history. During his time in college Plumb worked for the Manitowoc Daily Herald. 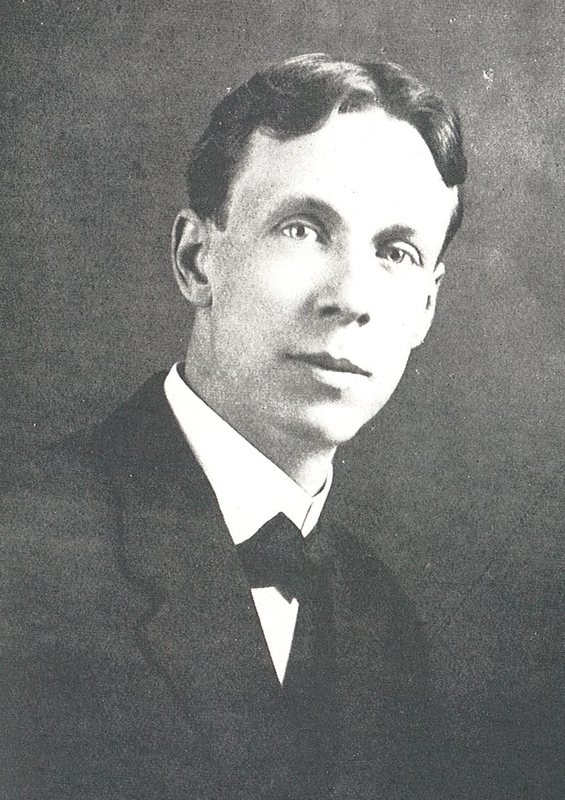 He graduated from the University of Wisconsin in 1901 and passed the State Bar exam in 1902. Plumb served six years as city alderman in the early 1900s and was president of the school board during part of the time that Lincoln High School was under construction. Mr. Plumb was a charter member of the Kiwanis Club of Manitowoc and a founder and past president of Manitowoc County Historical Society. "Some experiences that spelled tragedy to me are connected with that school yard and park. One was that two mothers in that neighborhood did not transfer their boys from short to long pants according to their stature but sued age as the proper limitation. As a result I, who was one of the unfortunates, was compelled to go to school when approaching five feet in height in knickers. Big boys who made their headquarters in the park were not always generous in their comment on the matter as I walked as fast as I could past the tormentors (page 24)." "It is hard to realize that a boy in Manitowoc fifty years ago was in daily contact on the street with men who were actual founders or near founders of the town. In other words the span of a hundred years covers but two generations in this particular instance. Many of these oldsters were feeble, tottering, gentleman at that time but their daily musings as they gathered in their wonted corners would have well been worth recording if any one had realized their historic value (page 67)." Plumb passed away on March 21, 1976 at the age of 95. His memoirs demonstrate that the most extraordinary and memorable stories can come from ordinary lives.